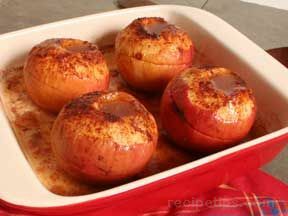 Two fall favorites -- butternut squash and apples -- are oven roasted and sweetened with a vanilla-accented brown sugar and butter glaze. 1. Preheat oven to 450° F. Toss squash and onion in large bowl. 2. Mix butter, brown sugar, vanilla, salt, nutmeg and pepper in small bowl until well blended. Pour over squash mixture; toss to coat well. Arrange in single layer on foil-lined large shallow baking pan. 3. Bake 15 minutes. Add apples; toss to mix well. 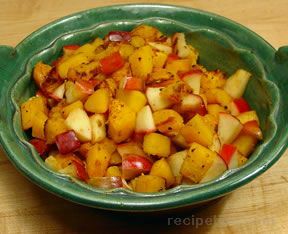 Bake 25 to 30 minutes longer or until squash and apples are tender. 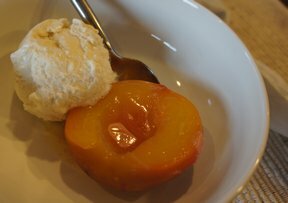 Test Kitchen Tip: Use crisp sweet-tart apples, such as Braeburn, Empire or Jonagold.